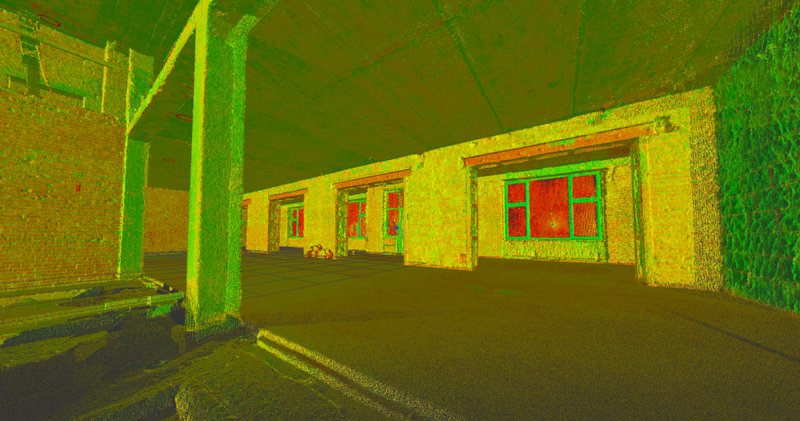 By order of one of the architectural offices, the company “Trimetari Consulting” performed a laser scanning of a two-level apartment in Petergof. Fieldwork was completed in 1 day, another 1 day was required to process laser scanning data. The result of the work – a point cloud – was presented in the format Autodesk RCP. The RCP file is available for import to Autodesk AutoCAD and Revit. Working with a point cloud directly in the CAD environment allows you to exclude a long stage of compilation of dimensional drawings or 3D-modeling, reduces the cost of surveying. In addition to the point cloud, architects and the owner of the apartment were given TruView panoramas, which are a spherical projection of the point cloud. Panoramas allow not only to visually assess the configuration and state of the object, but also to make measurements and annotations. To work with panoramas, ones do not need to purchase additional software, the work is done directly in the browser.